We hire out authentic antique and vintage items perfect for weddings, film or stage props and any special occasion or event throughout Wiltshire, Somerset, Dorset & beyond, including Bristol and Bath. Contact us for any help or information you may need for hiring either individual items or party bundles. We have a vast collection of china which is authentic and beautiful. It makes a wonderful impact teamed with our linen and cutlery. We love the look of a small tea set matched with other china from different sets. There may be minor imperfections and damage, but we will never hire anything that we wouldn’t be happy to eat off or drink from ourselves. Obviously none of the china is dishwasher safe, but will arrive with you hand washed. When it is returned we ask that you wipe the china down with kitchen paper and we will wash it up for you back at Loves Lane Vintage Hire HQ! We have some collections of a matching cup, saucer and plate, please ask if you would like these included in your collection, or as an addition to it. 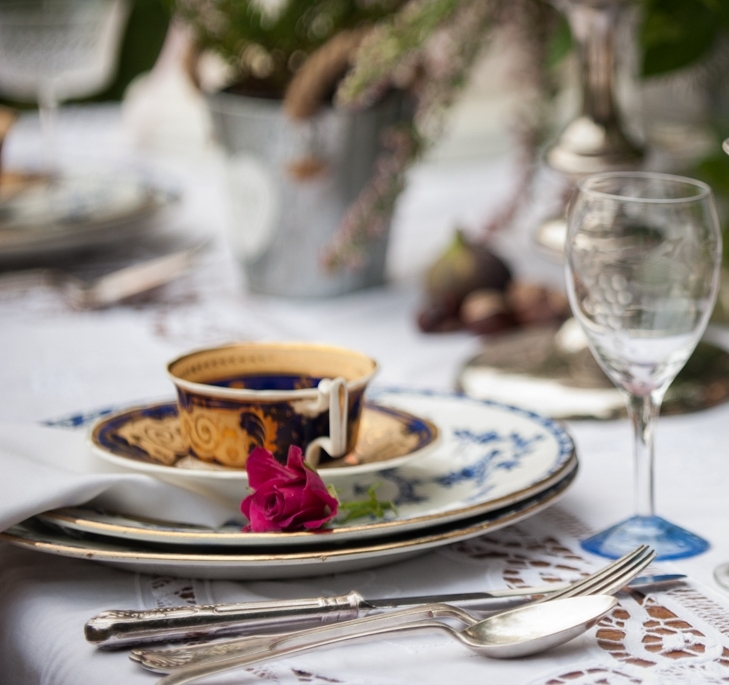 We are can provide the china for small tea parties all the way through to large wedding breakfasts.